Carry a piece of the earth’s inner beauty with you wherever you go! 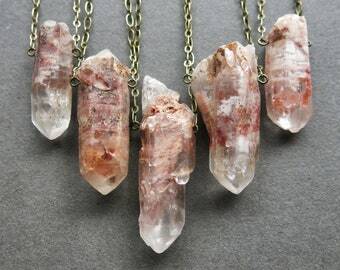 This simple yet stunning rose quartz crystal necklace offers the perfect touch of earthy femininity for any occasion. 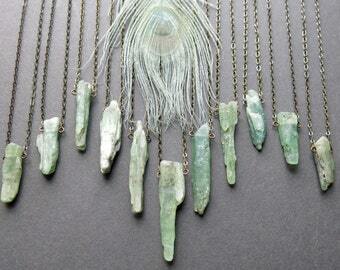 Wear it alone as an everyday staple, or layer it with our other necklaces for a more intricate bohemian look! 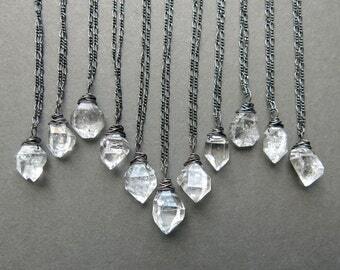 Each of our rose quartz pendants is one of a kind and hand made to order. Please allow 1-2 weeks for production. If you have a specific deadline, please let us know and we will do our best to accommodate you! 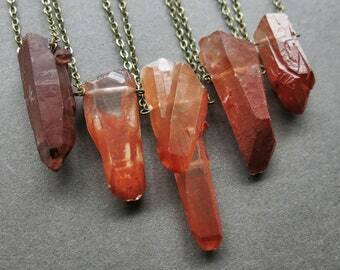 Please note, these are real, natural crystals. Each piece is innately unique and yours may vary from the product photos, but will be just as beautiful! 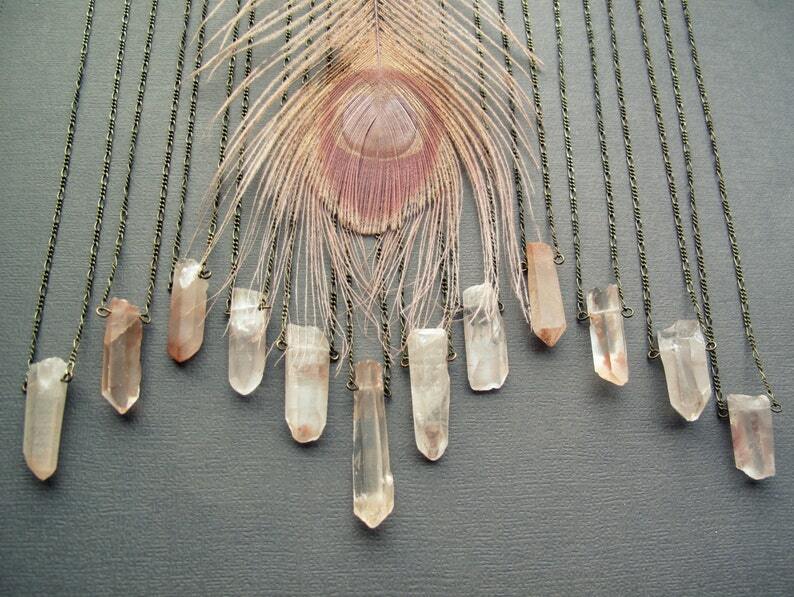 Our raw rose quartz range from very pale pink to vibrant peach and from semi-transparent to mostly opaque. They may have natural indentations and surface imperfections where they were pulled from their cluster. 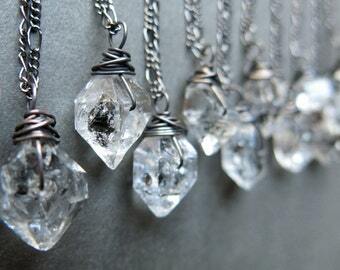 We generally place smaller crystals on short chains and larger crystals on long chains. 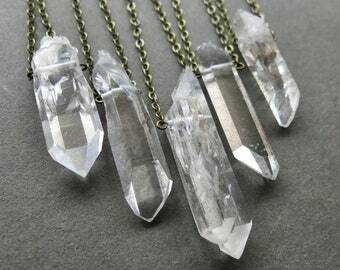 If you have a special request for size, color, shape, or clarity, please let us know in the notes to seller box when you check out and we will do our best to make sure you end up with the perfect crystal! Peachy rose quartz offers a loving, compassionate energy which can help with purification of negative energies, release of the past, and fostering empathy. It resonates connective, bonding energy beneficial for opening the heart space and healing and strengthening relationships of all kinds. 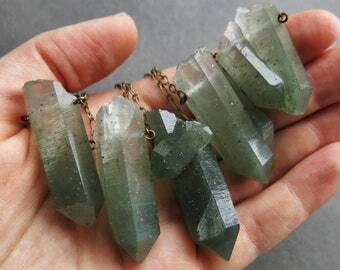 These are wonderful crystals for lovers, spouses, siblings, families, and expecting mothers. 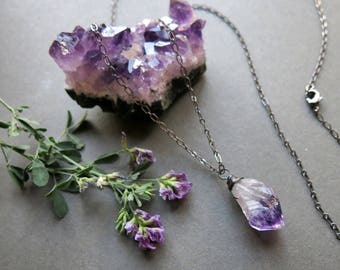 Very beautiful and well made necklace. Shipped on time. Will be buying more for sure!! Wonderful piece. Radiating good vibes!